If you're constantly struggling between making Brunch plans and hitting that mat on weekend mornings, we got you! Buti yoga is a unique and playful practice, known for its cardio-bursts of tribal dance,primal movement and conditioning. The class is designed to help everyone develop body confidence, fall in love with your workout and transform your body. What's even better? You get to enjoy your drink of choice for FREE after the class. 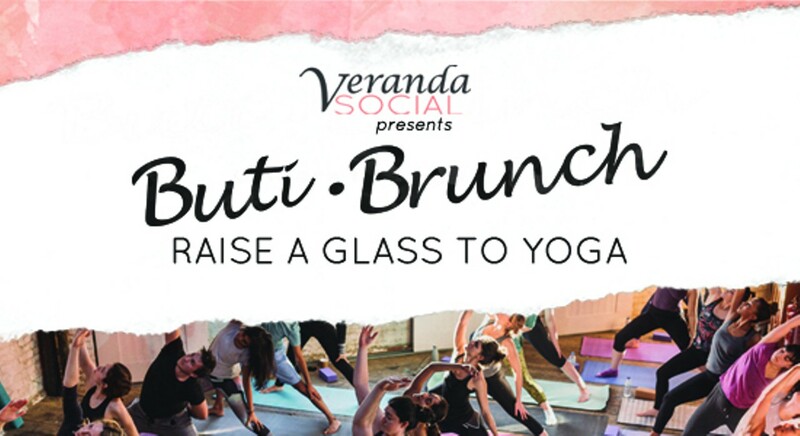 Stick around and get some food too (not included in ticket) Come raise a glass to Yoga with us every other Saturday starting April 6th. Limited seats available!